Hi! I’m Jake Whittenberg, and I’m feeling like a proud KING 5 veteran these days. I started here in December 2009, and it’s been an amazing ride in the Pacific Northwest ever since. Today, I co-anchor KING 5 Mornings on KONG from 7-9 a.m. with Mimi Jung, and you’ll find me reporting on big stories of the day from 5-7 a.m. Since I started at KING, I’ve covered all kinds of stories from Seattle to Cuba and back, and from Eastern Washington to Pearl Harbor and several cities in between. I’ve tried to be a trailblazer in Seattle by starting a VLOG and creating more YouTube content. It’s a fun way to tell a story and my videos have been viewed millions of times! Before starting at KING, I was a reporter/anchor at WSYX/WTTE in Columbus, Ohio, and KTVQ in Billings, Montana. I consider myself a proud Montanan, but I was born in Southern Illinois to the parents of a newspaper publisher and reporter. 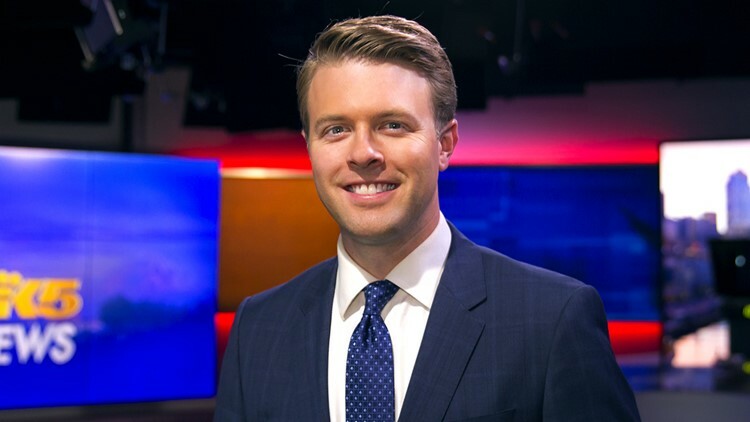 I caught the TV news bug after graduating with a Media, Theatre Arts degree at Montana State University. But news has always been in my blood. Some of my fondest memories as a kid were with my dad in the newsroom during election night coverage. I love the buzz of a newsroom! I’ve been humbled to win seven regional Emmy Awards, an Edward R. Murrow Award, Associated Press Broadcaster of the Year and several other writing and reporting accolades. I’m also a former appointee to the Montana Film and Television advisory council appointed directly by the governor. When I’m not covering the news, I frequently emcee community events and golf tournaments. I love visiting towns in Western Washington and getting to know the people. If you haven’t noticed online, my philosophy is "Work hard, play hard!" I love golfing, fly-fishing and spending time with my wife, Tara, and two children, Lula and Ollie. If you have any ideas or just want to stay in touch, you can follow me online! Follow me on Twitter, Facebook and Instagram, and subscribe to my channel on YouTube.